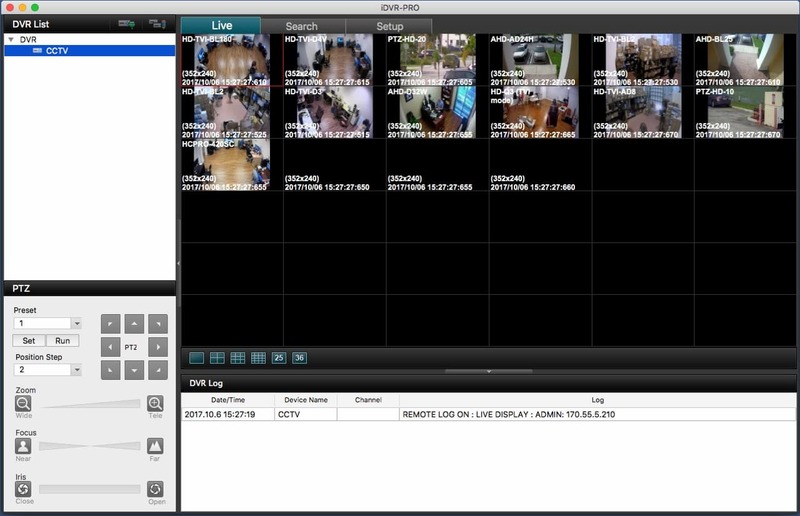 The Mac software for iDVR-PRO video surveillance DVRs supports remote live security camera viewing and recorded video playback from a Macintosh computer. 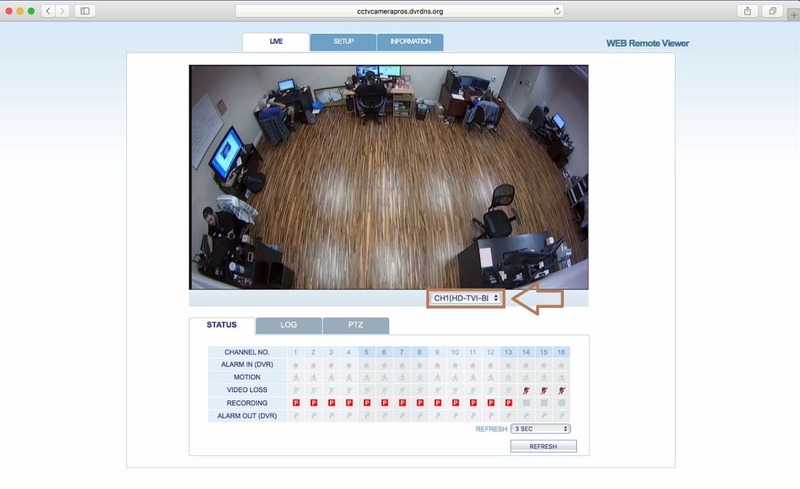 Users are also able to access their iDVR-PRO through a web browser on a Mac computer, but with limited features. The web browser view limits users to view only one camera at a time and does not support recorded video search and playback. 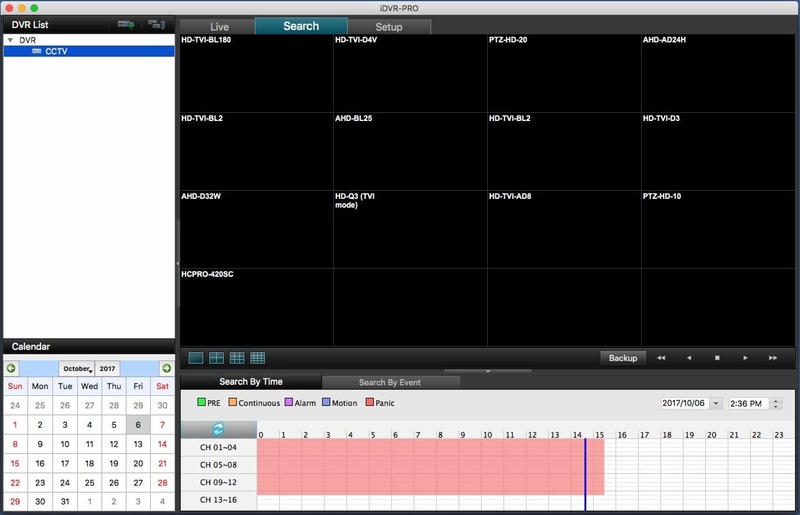 A more advanced viewing method is to use the DVR viewer software for Mac, which allows multiple-camera viewing just like on the iDVR-PRO interface. You can learn more about the iDVR-PRO CCTV camera viewer software for Mac here. 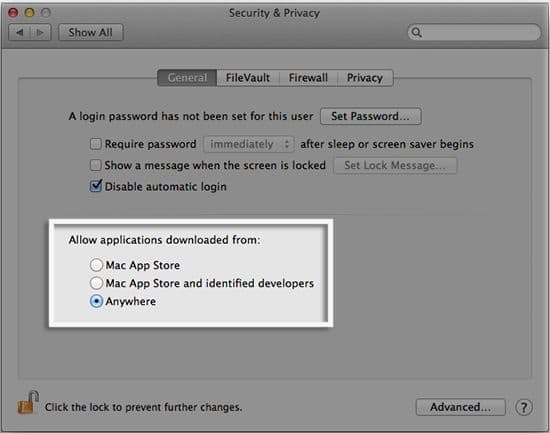 This page contains setup instructions for Mac web browser access for iDVR-PRO as well as the Mac CCTV software application for iDVR-PRO. To access your iDVR-PRO using the Mac Client Software, please follow the instructions below. 1. First ensure that the correct ports are forwarded in the router attached to the iDVR-PRO if you intend on accessing remotely, otherwise, you can use the local IP address of the DVR for access from this application. If you have not yet setup port forwarding, please visit our Network Setup / Port Forwarding article or call our technical support line for additional assistance. 2. Download the iDVR-PRO Viewer software here and launch the program. 3. Select the edit button. The Group Manage Dialog window will pop up. 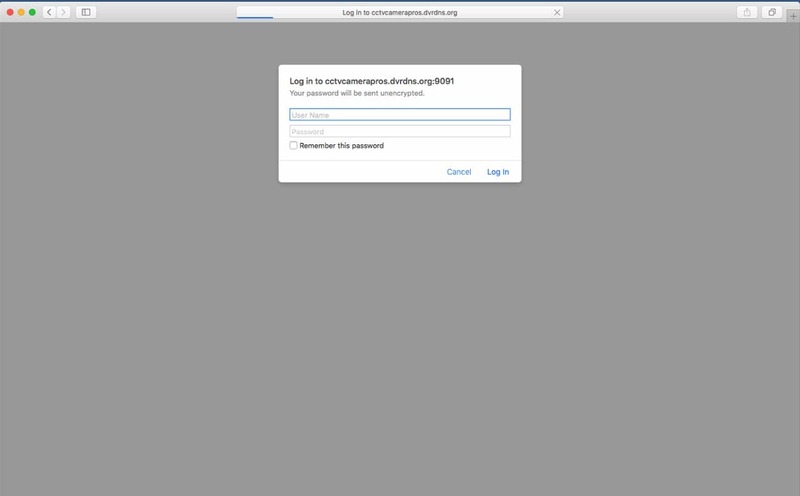 Now enter the Device Name (the name can be anything as it is only for your reference), Local or Remote IP Address in the IP/URL field, HTTP Port, RTSP Port, User ID and Password. DO NOT CLICK OK. After entering the appropriate information, select the Group button. 4. Once in the Group section, enter a name under Group Name (the name can be anything as it is only for your reference) then select your device from the column on the right. Once selected click on the top arrows to move the device into the group. 5. If everything is done correctly, it should look like below with your device now having moved from the right section to the left.You can then now select OK.
6. Now select your newly created group, right click on your DVR and select Connect. 7. You should now be able to view all of your cameras and select from the various grid options. 8. 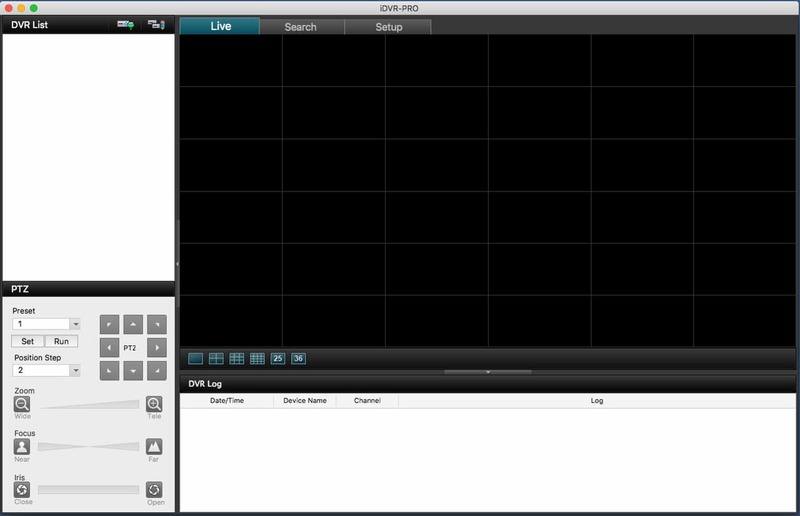 You can also access Video Playback as well as Setup options for your DVR from the iDVR-PRO application. 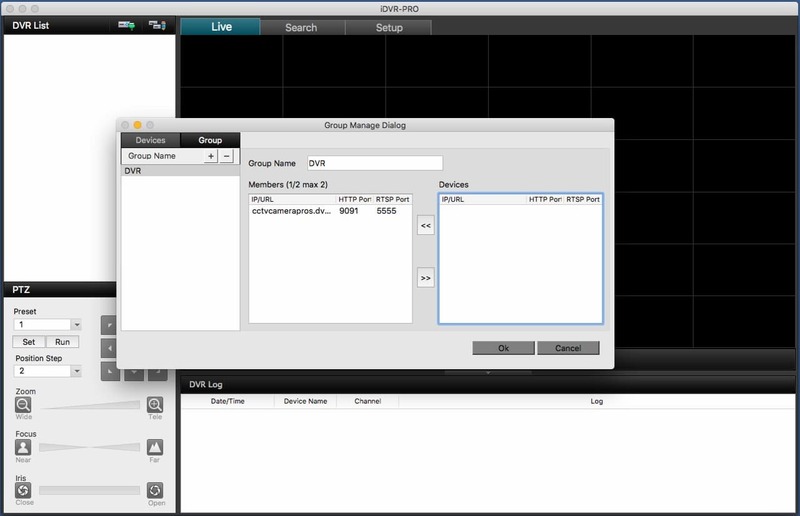 To view your iDVR-PRO Surveillance DVR on a Mac using a web browser, please follow the instructions below. 1. 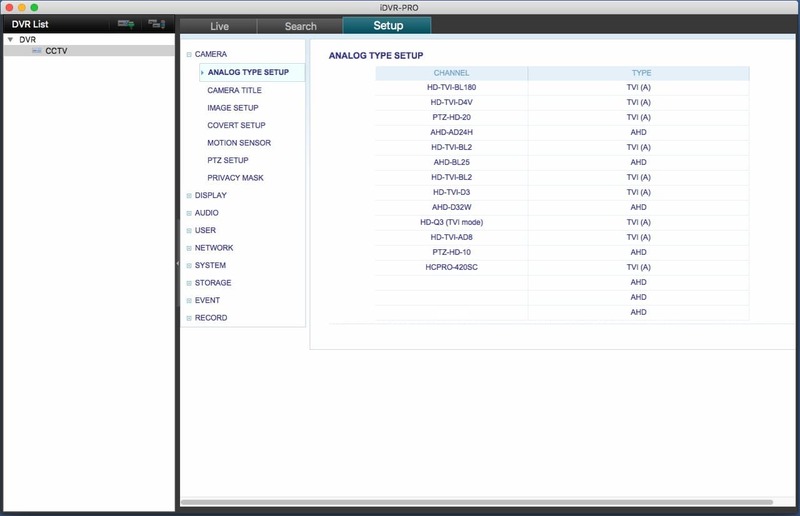 First, ensure that the correct ports are forwarded in the router attached to the iDVR-PRO. If you have not yet done this, please visit our Network Setup / Port Forwarding article (Note: If you are using an iDVR-PRO A, H, or M series, please refer to the iDVR-PRO 960H Network Setup / Port Forwarding article). NOTE: Safari, Mozilla Firefox, and Google Chrome only support a single camera at a time view.